A 40 y o male, known case of Tubercular Meningitis as per previous discharge summery and lab report containing Csf profile and IGg levels. Now re admission with left sided recent onset weakness and altered sensorium. 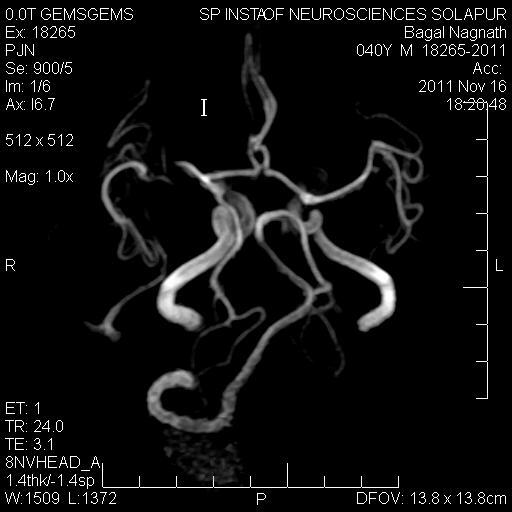 CT Brain shows effacement of cortical sulci in right peri sylvian region with sulcal hyperdensity. Multiple non enhancing punctate hypodensities involving right insular cortex and adjacent right parietal cortex. Multiple T2 hyper intensities involving right peri sylvian cerebral cortex and adjacent insular cortex with restricted diffusion. Right MCA distal main stem stenosis, marked sparsity of its cortical branches. Impression : Vasculitis and vasculitis induced infarcts in a known case of tubercular meningitis. "IVY" sign : Axial Flair image no 1 show a serpigenous hyperintensity in right temporal cortical sulcus represent a cortical branch of right MCA with abnormal sluggish flow - IVY sign, reported in Moya Moya disease and Vasculopathies.